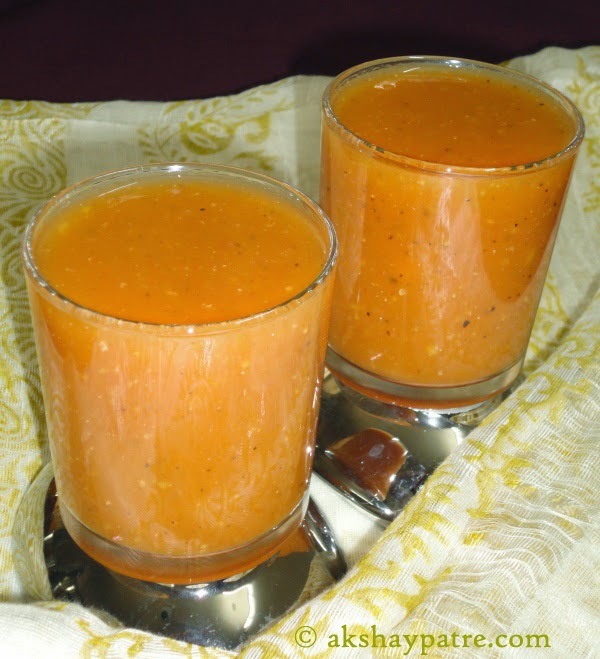 Tomato soup recipe - A comforting and soothing healthy drink to sip for all age people in all season. This is a tomato based thick variety soup served hot. 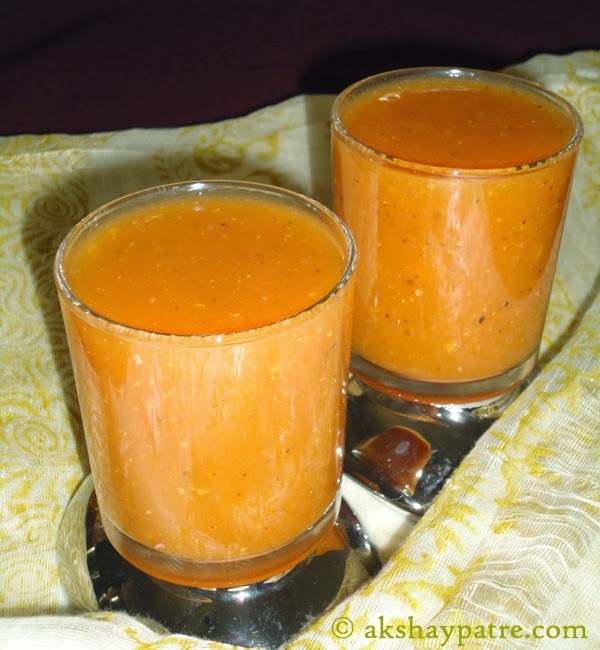 This tomato soup is low in calories with full of flavors and taste which satisfy your taste buds. 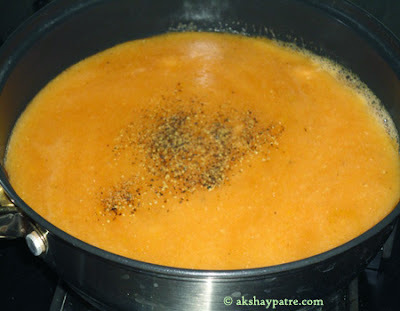 The fresh pepper powder made by pounding the pepper in a mortar with a pestle adds a hot taste to the soup. Soup is a must liquid food, particularly during the rainy days. There are few specific kind of soups that can be made easily. 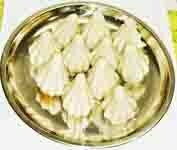 Do check out some other soup varieties. 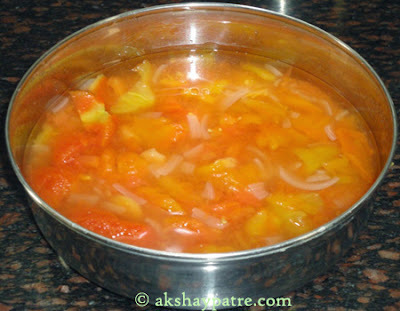 This hot tomato soup is made by boiling ingredients in water and the flavors are extracted by cooking them soft. There are two types of soups that we can make, the clear soups and the thick soups. Thick soups are always my family's favorite, so I made this thick variety of soup by using corn flour as thickening ingredient and served it as a starter for the meal. You may serve it with toast or toasted bread cubes. Try this soup and take a taste. You will like it. Wash the tomatoes and place them in a cooker container. add 4 -5 cups of water to it. Add the onions and ginger to it. Pressure cook till 3 whistles. Once the pressure releases, remove the container and allow the boiled ingredients to cool. Once the tomatoes become cool, peel the skin. Then chop the peeled tomatoes and transfer them back to the containerl and combine with other boiled ingredients. Put these boiled ingredients in a mixer jar and grind it to a smooth paste, using stock. Then pour the ground paste in a pan. Add the salt, jeera powder and pepper powder. When it is done, remove from the heat. 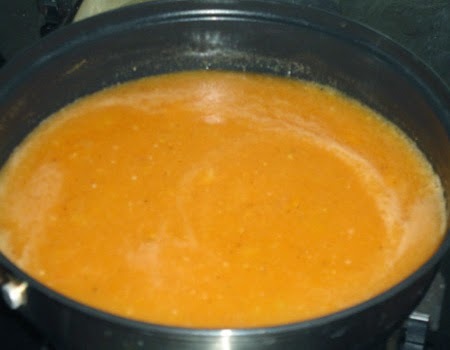 Serve the tomato soup hot just before meal. 1. 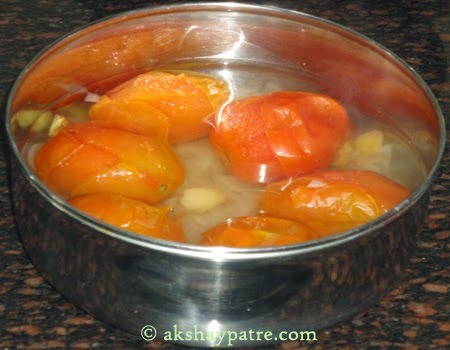 Wash the tomatoes and place them in a cooker container. add 4 -5 cups of water to it. Add the onions and ginger to it. Pressure cook till 3 whistles. 2. 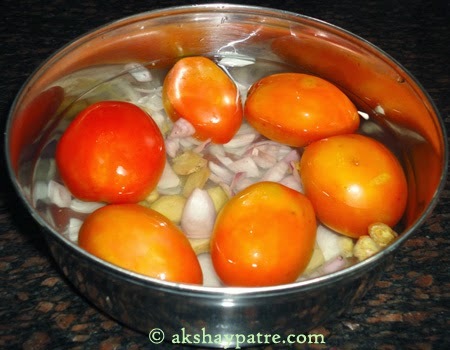 Once the pressure releases, remove the container and allow the boiled ingredients to cool. 3. Once the tomatoes become cool, peel the skin. 4. 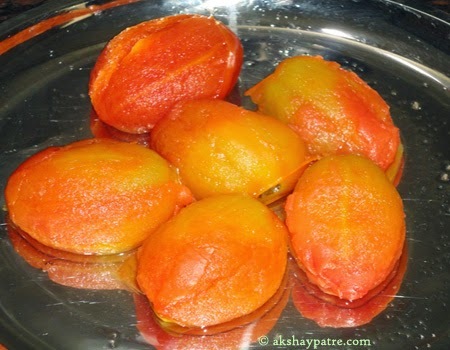 Then chop the peeled tomatoes and transfer them back to the containerl and combine with other boiled ingredients. 5. Put these boiled ingredients in a mixer jar and grind it to a smooth paste, using stock. Then pour the paste in a pan. add the salt, jeera powder and pepper powder. 7. When it is done, remove from the heat. Serve the tomato soup hot just before meal. Delicious soup, a warm bowl of this soup is just enough for me to finish my dinner. Perfect for a rainy evening!